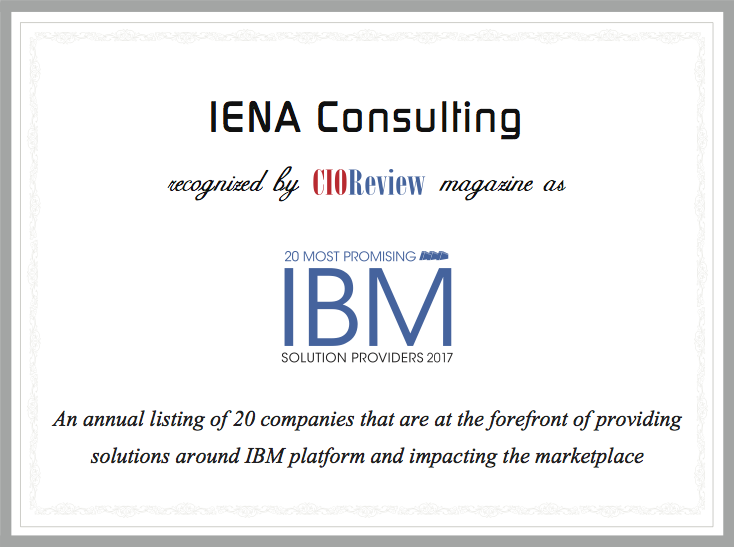 IENA Consulting recognized by CIOReview magazine as « 20 Most Promising IBM Solution Providers – 2017 ». An annual listing of 20 compagnies that are the forefront of providing solutions around IBM platform and impacting the marketplace. Partager la publication "IENA Consulting in the « 20 Most Promising IBM Solution Providers – 2017 » of the « CIOReview special edition on IBM Solutions »"